Hi Everyone! Happy Tuesday! It's my day again over at SVG Cutting Files! I am soooo excited for my card today! This snowman is from SVG Cutting Files and will be released on Friday!!! 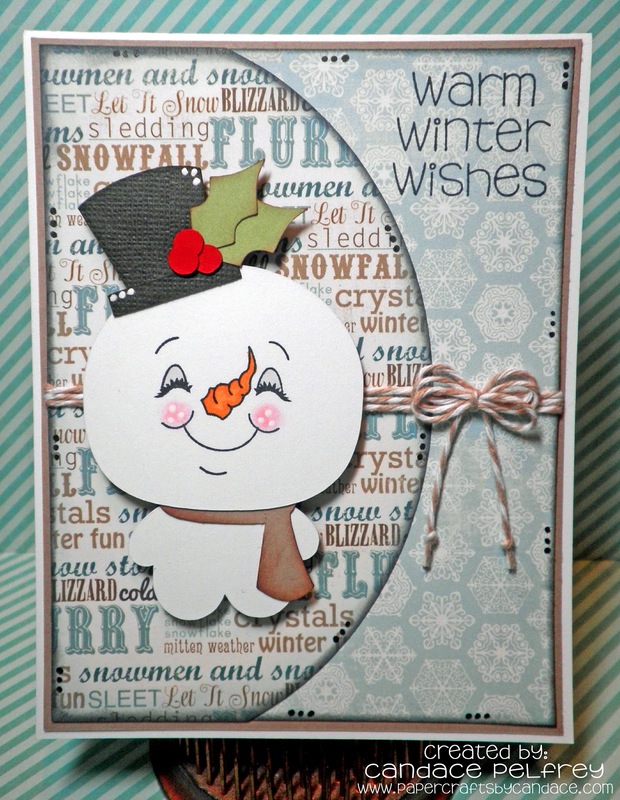 Warm Winter Wishes is stamped from Jaded Blossom's "Winter Wishes"
The Snowman's face is stamped from Peachy Keen's "Snowmany Faces 1 1/8th inch"
The paper is from Carta Bella "Winter Fun"
I also pop dotted the snowman and added some twine! Thanks so much for checking out my card today! Make sure to go over to SVG Cutting Files BLOG to be a follower and sign up for the newsletter so you get freebies!! You are so crafty! I love this site!!! I am stealing your button! Come follow back on my blog! Thanks! This is so CUTE!!!!! Love it and the papers are so pretty. Great Design of that card too. Just too cute and cheery!! I was so hoping they'd come out with a snowman!! SO cute!!! I love his little face!